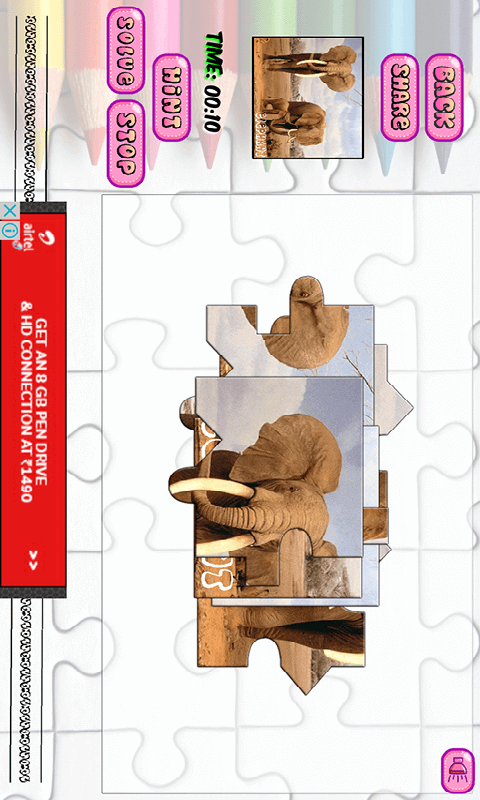 Play slide puzzle and jigsaw puzzle with beautiful images of animals in high definition. 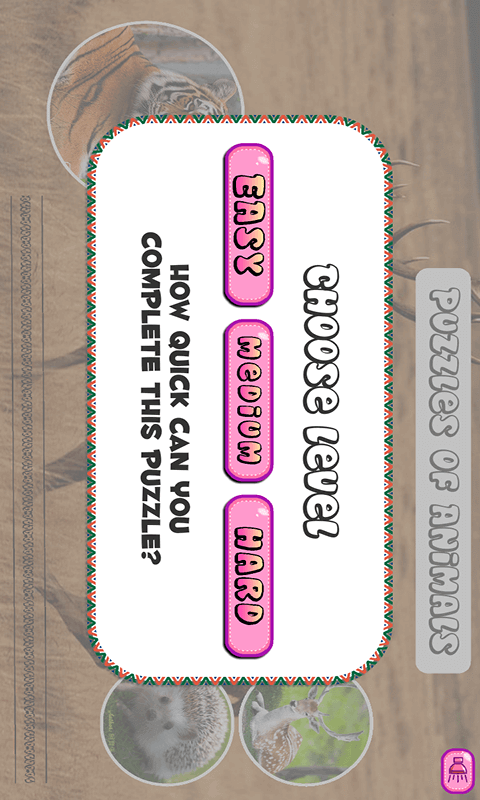 A slide puzzle is one were the aim is to sort the given pieces, using a blank slot for movement. Slider puzzles help to improve the thinking power, agility, hand-eye coordination and patience. A jigsaw puzzle is a game for mind. 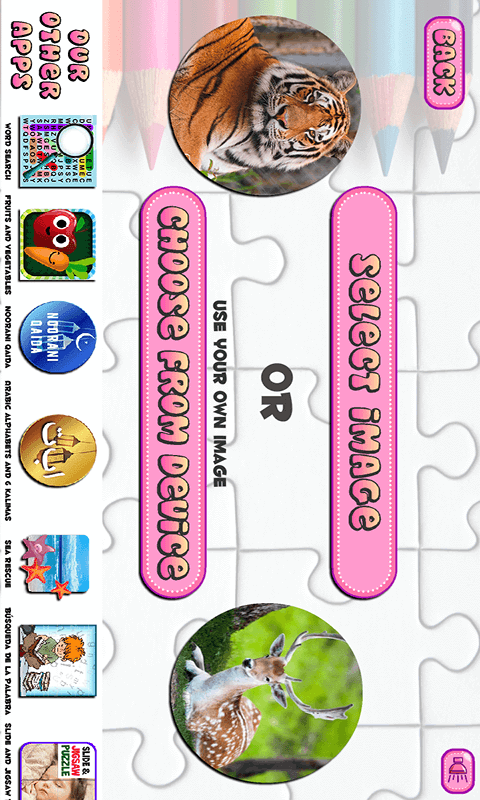 Play and enjoy with animal images. 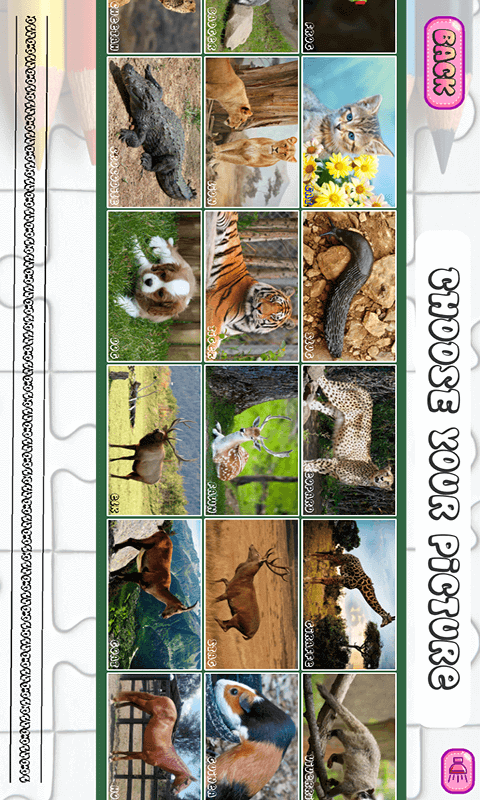 It has images of Beluga Whale, Cheetah, Crocodile, Dog, Elk, Goat, Horse, Kangaroo, Lemur, Orangutan, Panda, Platypus, Raccoon, Zebra, Cow, Wildebeest, Badger, Cat, Elephant, Fawn, Frog, Guinea Pig, Giraffe, Gorilla, Hedgehog, Komodo Dragon, Leopard, Lion, Llama, Sloth, Slug, Stag, Tiger and Viverridae. 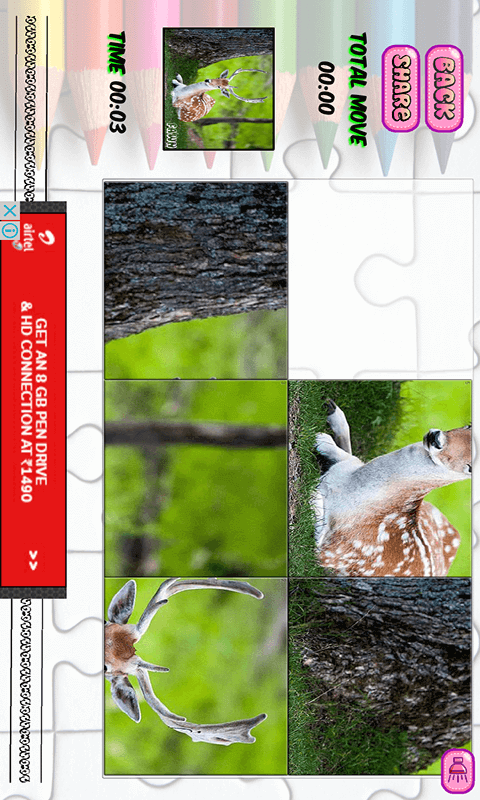 You can use your own images in puzzle from device gallery.